Today’s card is one that shows how quickly a card can come together with Close To My Heart’s coordinating products. 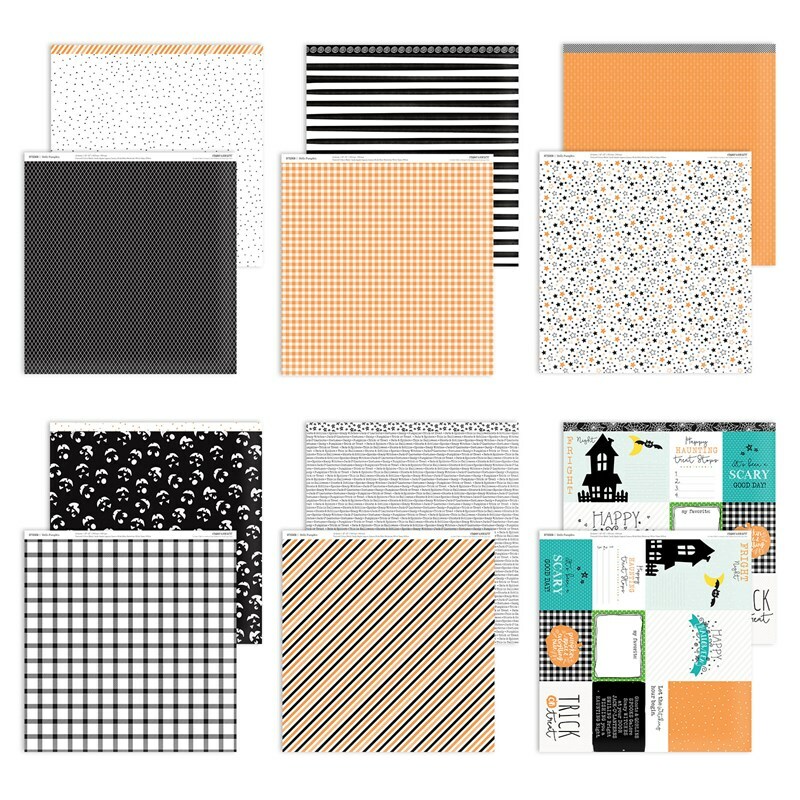 I started the card by using one of the Picture My Life (“PML”) cards contained in the Hello Pumpkin Paper Pack. The Nectarine Polka Dot paper along with the trimmed sentiment made for a wonderful start to the card! I then added in some Lagoon to make it pop a bit more. 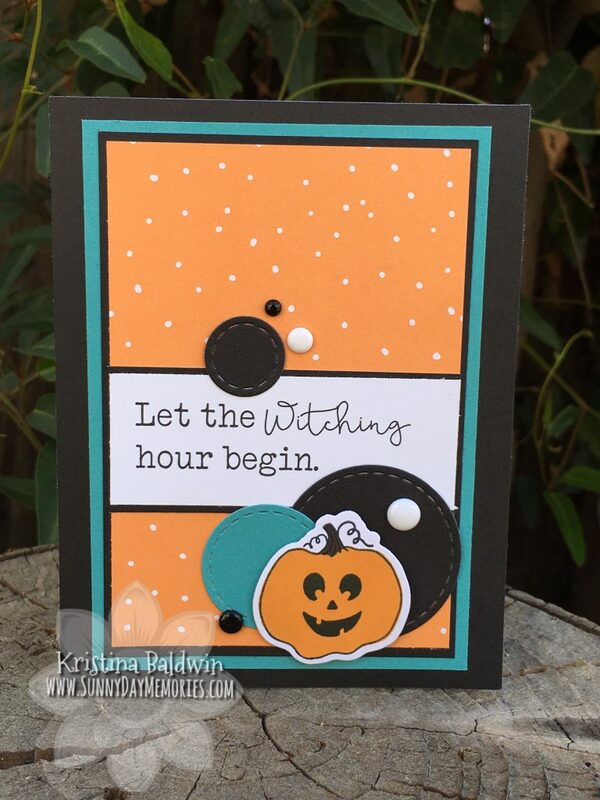 Since the sentiment was taken care of thanks to the PML, I added in the Hello Pumpkin Cardmaking Stamp Set + Coordinating Thin Cuts dies to create an accent for the card. 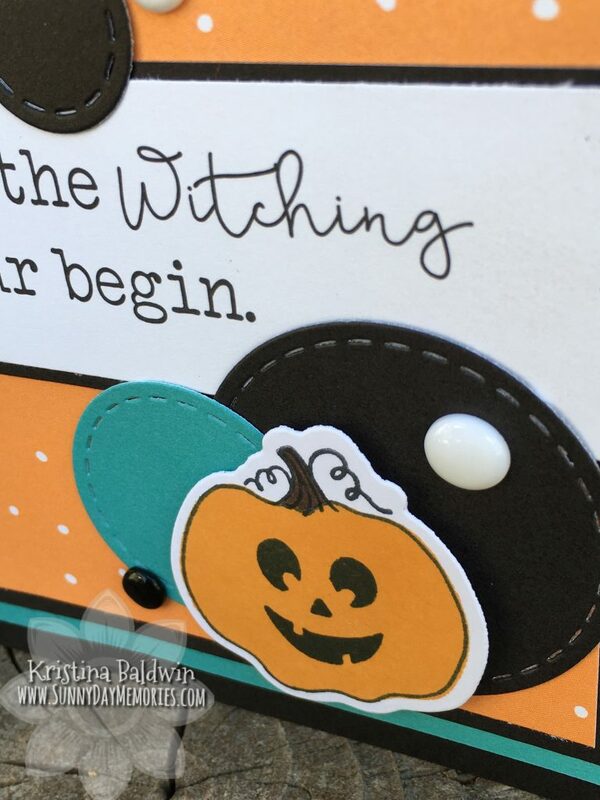 To help create a cluster around my pumpkin, I used the Stitched Circle Thin Cuts dies. It’s a quick and easy way to add to your project and the stitching element adds some nice texture, too. The final touch was to add in some of Close To My Heart’s Black & White Dots. Fun tip: you could even add in some Lagoon Dots by taking the Turquoise Blue ShinHan Marker and coloring the White Dots from the pack! 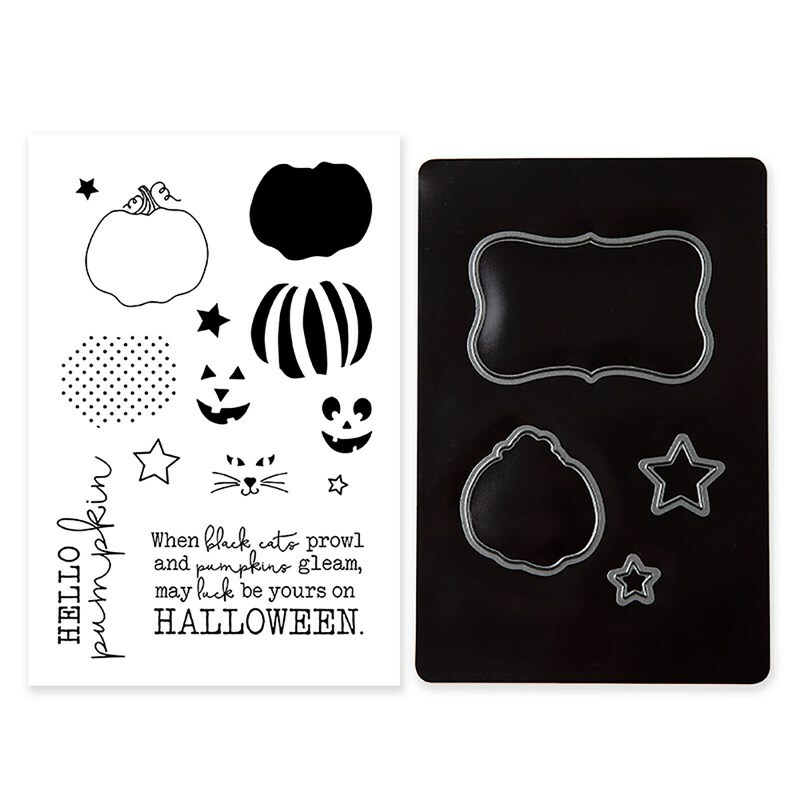 It’s not too early to start those Halloween cards and projects! 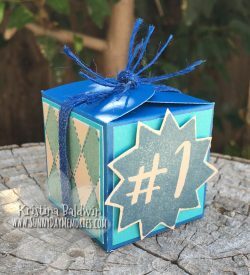 To get supplies for your next project, visit my ONLINE CTMH STORE. This entry was posted in CTMH Card Ideas, Holidays and tagged Close To My Heart stamps, Holidays, stampers, Thin Cuts, Tips and Techniques, using clear stamps card making. Bookmark the permalink.